Far from being a one-trick pony, the Mizuno Wave Ignitus range has always had a special place in many discerning player’s hearts for it’s combination of lightweight design, natural materials and good ol’ fashioned power. 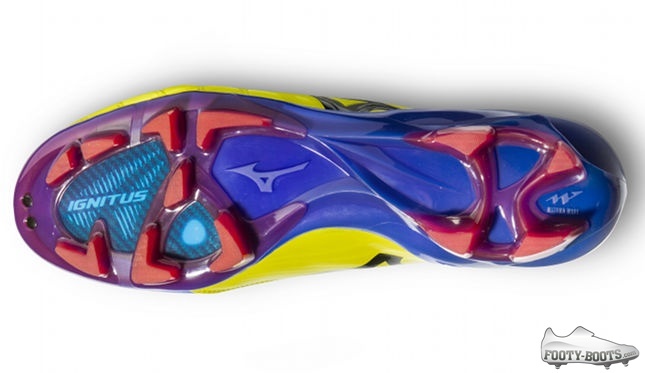 But nonetheless, Mizuno have decided to expand the Ignitus’ arsenal on the Mizuno Wave Ignitus III with a new range of devastating strikezones to choose from. 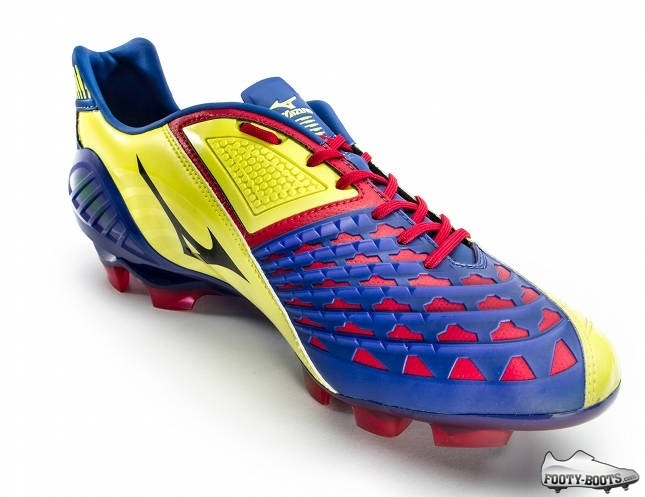 Challenged by Japanese international and set-piece expert Keisuke Honda to give him a more versatile range of strikes from dead balls, the Mizuno Wave Ignitus III is the product of two years of development by the Mizuno R&D team. Analysing the kicking style of the AC Milan star, the team at the Mizuno lab took note of the contact made on the forefoot that creates Tatekaiten – or top-spin. The new Wave Ignitus III is designed to enhance that in ways previous models couldn’t, with a unique, aggressive, fin-shaped technical panel across the top and medial side of the vamp. 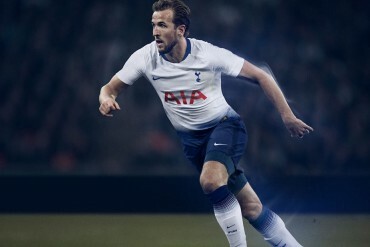 This results in a 17% increase in rotation on the ball, creating a deadly dip on the ball – something that will appeal to free-kick takers who want to get the ball up-and-over the wall. Further along the vamp area, the technical panel also features another new update,in the form of a more flexible Yokokaiten (Japanese for side spin) panel on the instep which creates extra (latitudinal) ball revolutions for improved side-spin and accuracy when wanting to curl the ball. As you might have noticed, the ever-popular ‘no-spin’ Mukaiten panel retains it’s spot on the instep, for forcefully shunting the ball in a manner that makes it tough for a goalkeeper to predict. 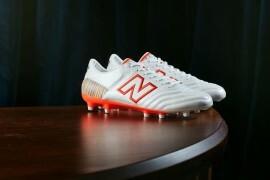 The traction plate boasts an all-new outsole design aimed at reducing stud pressure and improving traction on the turf. Through the midfoot, you’ll also find a more supportive lateral bridge to offer more stability in the mid-foot area and a carbon fibre plate under the forefoot. 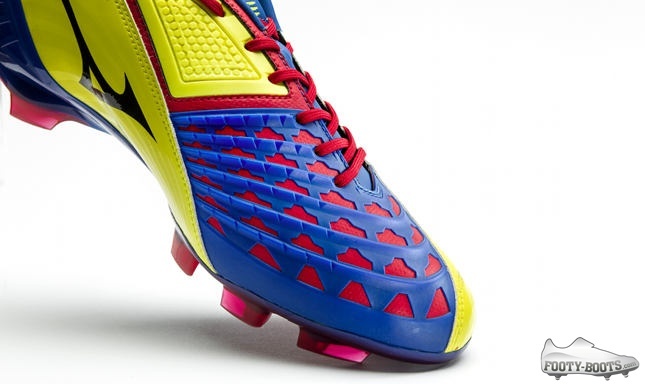 Whilst the Mizuno Wave Ignitus III looks in many ways like the perfect update to it’s predecessor, there could be one sticking point for some players. 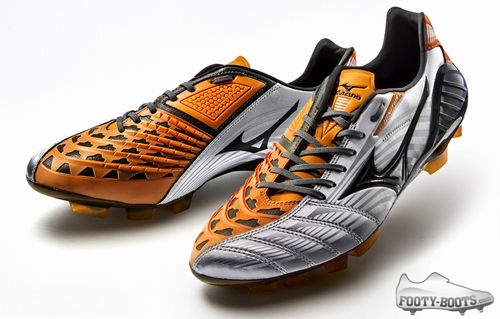 Mizuno’s choice of leathers has always been second-to-none, and the previous Wave Ignitus models have taken full advantage of that – but the Ignitus III will be the first ‘statement’ boot in the series to use a synthetic upper. Whilst this trims the weight of the boot to a svelte 230g, it’s certainly something that could divide the Ignitus’ fanbase. 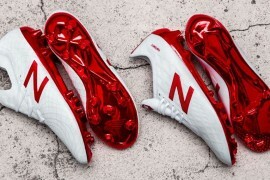 Whilst many will undoubtedly love the ‘ping’ that comes with striking in a synthetic boot, there will be some who will lament the lack of a natural leather. Launching in an intentionally out-there pair of colourways – Vibrant Bolt / Victoria Blue / Chinese Red and Silver / Black / Autumn Glory – you’ll be able to pick up a pair of Wave Ignitus III‘s at retail from the 14th of June for around £130.